If you love honey, honeycombs and the bees that fill them, you'll enjoy this collection of embroidery patterns featuring these sweet motifs. Some are free and some are from Etsy shops, but all are sure to please those who love bees. When you want to stitch something for your honey, grab this free Always Bee Mine pattern. It doesn't require too many stitches and won't take very long to work, but it carries a sweet message. The super cute style is also perfect for kids! And while the hearts and wording have a Valentine's Day feeling to them, you can easily remove those or change them for a non-romantic embroidery. Bethany from Whistle & Ivy shares an adorable free pattern with a great reminder. This easy pattern only uses two embroidery stitches! After you embroider these hexagons and the cutest little bees, hang the finished embroidery in your home so that you remember to "always beekeeping it real." A sweet little honey jar is just one of the free patterns that is part of the Bee-Quilt Along collection . Although not every pattern features bees or honey in a big way, every one of the 20 free designs has at least one little bee buzzing around. 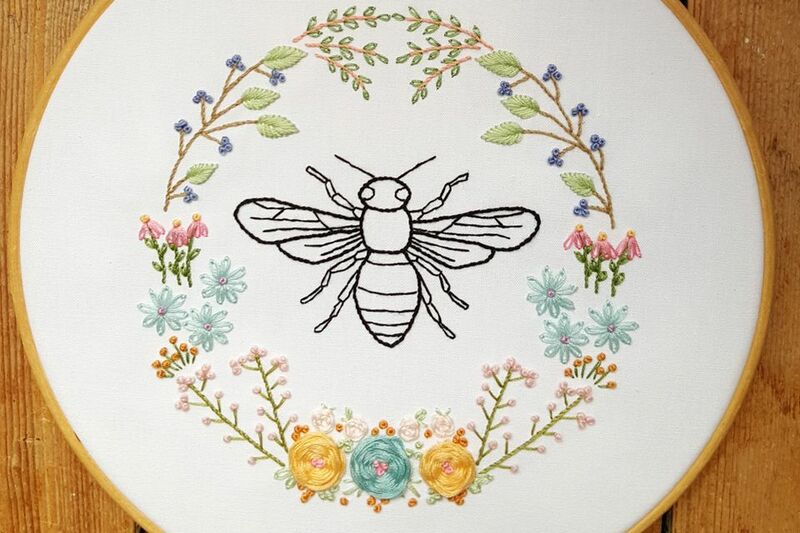 Designed by Pamela Morgan for the Moda Bake Shop, these embroideries can all come together to make a truly "bee-​utiful" quilt. Sometimes sweet and simple is what you need and this free pattern from Mollie Johanson is just that. Add the logo-like design to a totebag or embroidered patch and you have the perfect gift for your beekeeping friend!